Plant-based composites (bio-composites) may in the future, become materials to replace polymer based composites and wood in terms of their attractive specific properties, lower cost, simple processing technologies, eco-friendliness, and ability to be recycled after use. 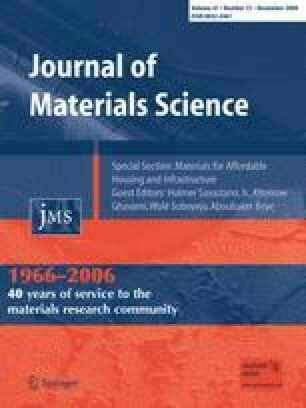 The quality and performance of plant fibre-based composites can further be improved by adopting appropriate engineering techniques. Although plant-based fibres have these advantages, they also have some limitations. One of the serious problems of plant fibres is their strong polar character, which creates many problems of incompatibility with most thermosetting and thermoplastic matrices. Production of bio-composites with high quality and performance is therefore based on adjusting the properties of the constituents to meet the requirements of the composite material i.e. a product with consistent, uniform, predictable, and reproducible properties. Such adjustments involve creating strong interfacial bonds between the lignocellulosic substrates and the binder. Successful development of bio-composites therefore stem from a careful understanding of the influence of these adjustments on the composite properties. This paper suggests some opportunities available in producing bio-composites from non-wood resources, and the challenges that must be overcome to make this technology commercially viable. Gaps in knowledge and information required before full commercialisation of these materials are identified. The authors wish to acknowledge the financial support from SIDA-SAREC, which has been sponsoring this project at the University of Dar es Salaam, Tanzania.